What is the eponymous Karuta? It is a sport based on a card game dating back 400 years, which in turn draws on “Ogura Hyakunin Isshu” – a collection of one hundred poems written by one hundred authors between 8th and 13th centuries. Japanese children learn this classical body of poems at school. In Poland, both the texts and Karuta itself are almost completely unknown. Bartosz Hołoszkiewicz discovered this story at Shigureden – a Karuta museum in Kyoto. He was told it by the museum’s director, Professor Yoshikai Naoto, who is one of the most renowned experts in this subject and an avid collector of cards. 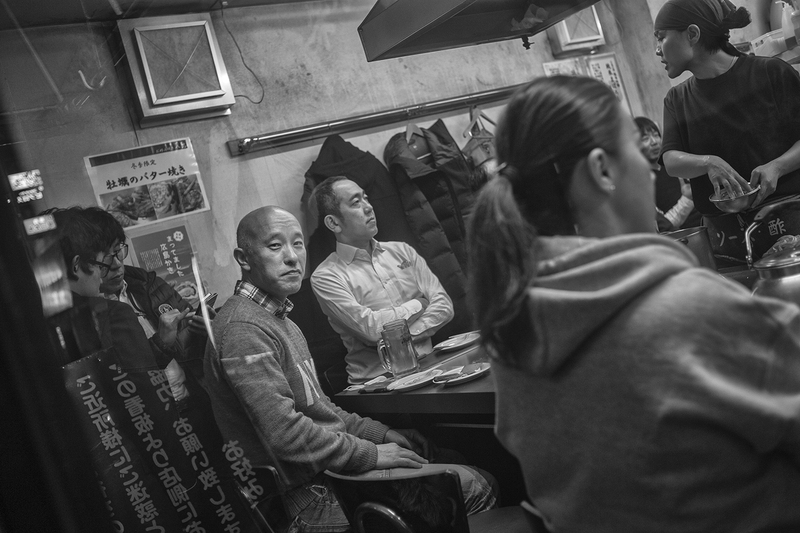 The meeting resulted in a cycle of photographs depicting this fascinating sport and the people who play it – as well as a peculiar section of the Japanese culture. Hołoszkiewicz’s photographs are mostly devoted to the most important event for Karuta lovers. Each year, at the beginning of January, the two most prestigious matches of the season are held at the Ōmi Jingū shrine in the mountains near Kyoto. Two players – a man and a woman who have been selected through national qualifiers – challenge the previous year’s winners and try to claim the title of Meijin and Queen. The winner is the player who first manages to lay down all the cards. Each player must know all the poems by heart. The word karuta is derived from Portuguese and means card. 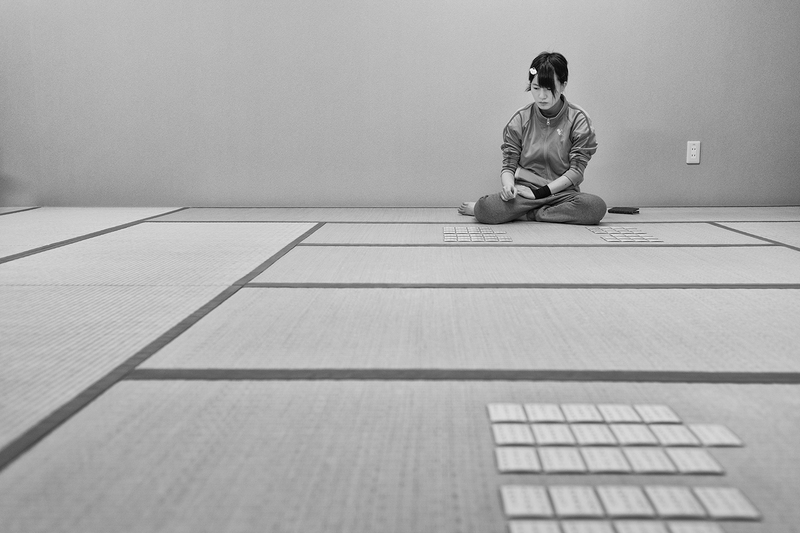 At first, Kyōgi Karuta was a gambling game, but the status of the competition has completely changed since the 16th century. Today it is a sports discipline that enjoys considerable media attention. However, Hołoszkiewicz does not focus on the media interest accompanying this analogue card game; instead, he carefully looks at the players – their concentration, effort, different sensitivities and skills required to become a master. 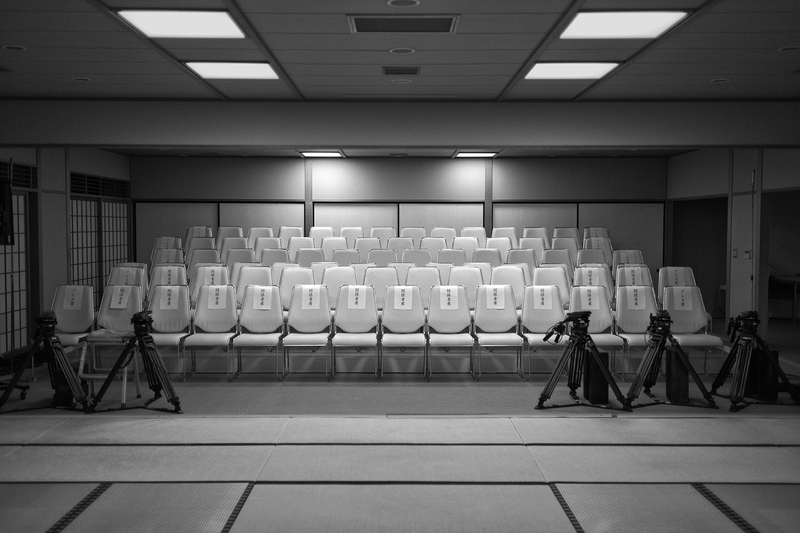 “Kyōgi Karuta” is not just a photo story – it is an attempt to penetrate a completely different culture through a sport that is both photogenic and unknown in this part of the world. A sport whose connections with poetry are both organic and ambiguous. The exhibition is a part of the Japanese Culture Festival in Wroclaw NIHON NO NAMI.